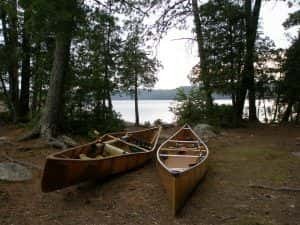 Coming up to Ely for the Boundary Waters Canoe Area? Do you need a Kevlar Ultra Light Canoe? Our Ely Outfitters have solo, tandem, three and four person Wenonah Kevlar Canoes available to those interested. Our outfitting services don’t stop there, we also offer all inclusive packages, food and canoe packages, guided outfitting and partial canoe outfitting. All of our gear is located at our Private Ely Resort, therefore when you rent gear from Moose Track Adventures for your Boundary Waters Canoe and Camping trip you also get free parking on our private property. Interested in what a Boundary Waters Expert has to say? 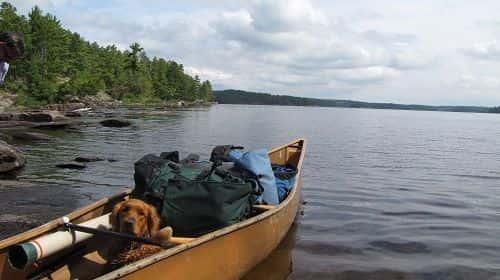 When you choose our All Inclusive Kevlar Canoe Outfitting Package you get our expert advise on routeing your Boundary Waters Trip. We know what routes require more portaging, more intense canoeing and can help you find a path suitable for the skill level of your group. If you really want to get deep into the wilderness we also offer Quetico and BWCA Fly-in Trips, with Moose Track Adventures the sky isn’t even the limit! Want someone to show you the ropes? Nothing wrong with that, especially in the wilderness. Our seasoned Boundary Waters Guides highly enjoy taking that trip with you. We can offer our knowledge, stories and assist you in your adventure through the Boundary Waters Canoe Area. We are highly selective about our Canoe and Fishing Guides, so that we know your decision to take a guide along was the right one. Whether you come for the canoe or plan to take a guide with you Moose Track Adventures is a premier Ely Outfitter that has all you need for the BWCA. We can even have your Boundary Waters Entry Permits ready for you upon picking up your outfitted equipment and/or meeting your guide. We have a newly remodeled and always clean shower house as well as comfortable lakeside cabins to rent if you want at least one nights sleep on a comfortable memory foam mattress and your own personal bathroom. See all that the beautiful boundary waters has to offer by choosing to outfit a canoe and anything else you may need on your North Land Adventure. To start your Boundary Waters Canoe and Camping trip off right contact Moose Track Adventures and get your gear and dates before some else does. Fill out an online form or call us at 218-265-4106.